The book starts with a disclaimer that this isn't going to be super technical and will skip conversations on highly technical matters, but despite this it dives right into the mechanisms with a partial prerequisite understanding of key pairs and cryptography 101. most technical people will cope. 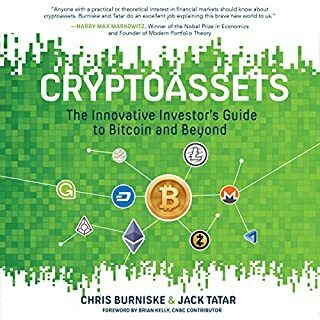 If you're the type of person that learns by example, this book will help you understand all the hoo-ha and provide a foundational understanding for keychain and crytocurrencies. hearing the actual conversations from founders as the develop the platform allows you the understand how they established bitcoin and communicated the reasoning for controls such as PoW and mechanisms such as blockchains. 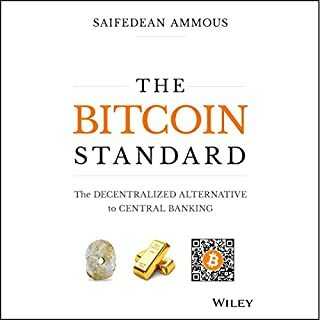 this book personally helped me by answering all the questions I had about the establishment and allowed me to understand the current issues so that I could asses which alt-currency is likely to work most effectively. Narrator is also a good pick. very easy to listen to due to sound voice control. The content is interesting for those interested in the theories behind Bitcoin and history of it. The downside is it being a literal reading of a technical book that wasn't adjusted for the spoken form, hence the reading out of some very large numbers and no explanation of diagrams being talked about. This book describes historical moments with all their simplicity. 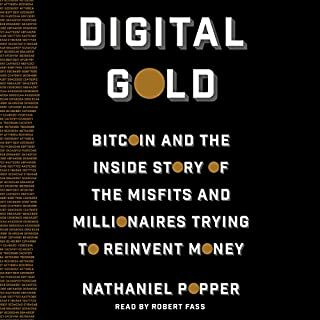 There is much more to the bitcoin history but this book is a good testimony. It is technical in nature, but for the non professional computer Geek it is a good introductory book on Bitcoin. Excellent book with execellent narration. 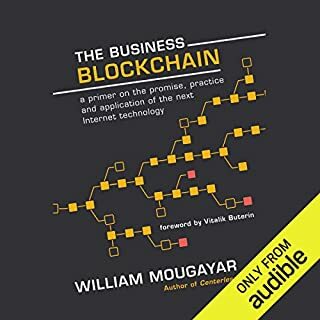 I recommend reading to anyone who wants to know more about blockchain technology. Great facts about Satoshi and bitcoin. I enjoyed very much and learned a lot about both bitcoin and its creator. Great content, but highly repetitive. Too much of the audiobook is spent reading the same line over & over again. And some bitcoin addresses are read 1 character at a time. 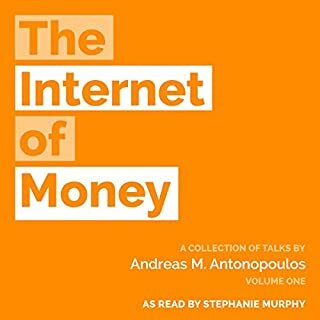 Great content, but obviously has not been edited well for audiobook version. 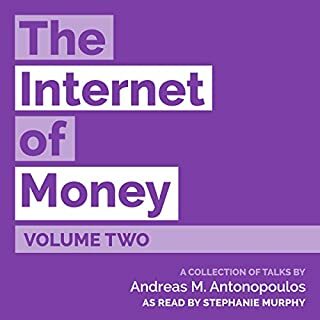 This information dense book gives a great overview of why Bitcoin was established and the culture that Bitcoin was incubated in. 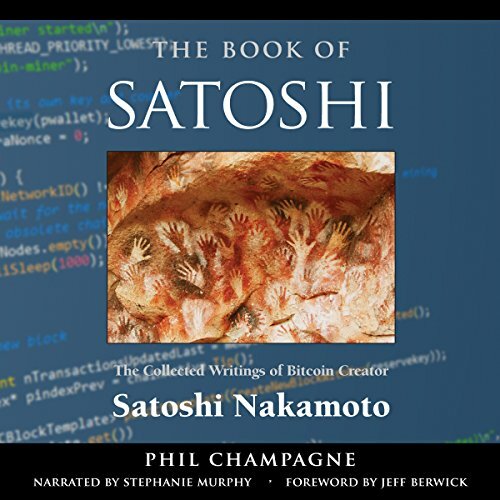 The book provides insight into the character of Satoshi Nakamoto by covering his collaboration with the Bitcoin development team from start to finish. Bitcoin created a world wide paradigm shift that will inevitably reach all corners of our world and will eventually effect EVERYONE. Bitcoin is probably here to stay, but the concept of the blockchain cannot be revoked. Any idea whose time has come will always reach fruition.